It’s a strange feeling when there are so many unfamiliar faces coming in and out of your house. Even stranger (in a much, much better way!) is the feeling when an excellent moving company takes over and use their expertise and knowledge to handle things like a pro. When the moving company is doing their work, we are often confused, not knowing what to do. Some people are okay with doing nothing, but others feel useless. Make things easier for the movers by welcoming them into the house and showing them around the house. Plan everything beforehand so when they arrive, you brief them and guide them accordingly. Once they know what they have to pack and how to organize it, they’ll work more easily and efficiently, and you can relax. 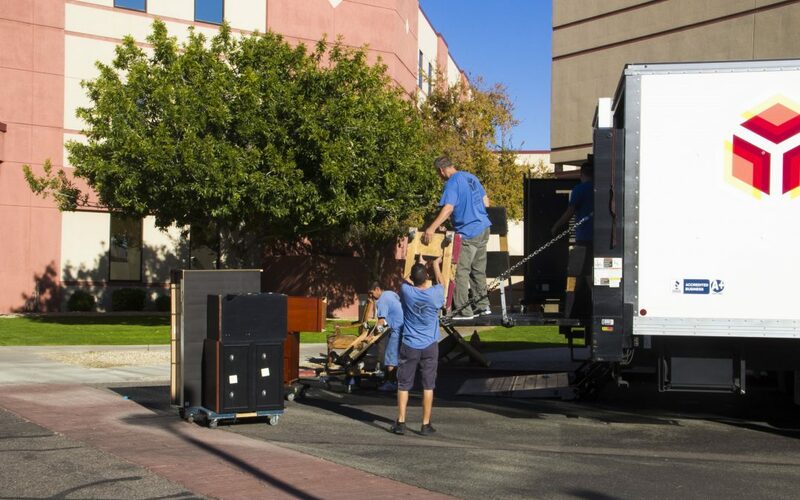 It usually takes a whole day for the movers to pack and move the belongings to the truck. Make it easier for them by giving them access to the bathroom, and telling them which one to use. Lifting heavy stuff is a physical exertion; inform them where they can get cold water from. You can even offer them cold refreshment and snacks such as fruits. It will not only help you show appreciation for their work but also keep them fueled up to do the job. Keep two fresh out of the box markers at your hand and label everything that is being packed. This will make it so much easier for you to unpack. If you have free time on your hands, you can even pack your things yourself and save time and money. Movers will just have to move the boxes. Make sure you know how to pack vulnerable items as well as how to organize the packing. While you leave the movers to take care of the rest of your belongings, you can deal with the valuable items. You must pack all the vulnerable items that are extremely vulnerable yourself. Especially the ones you think are irreplaceable and can get damaged in the truck. Place these small and valuable items in your car and take them with you to the new house. These items can be anything valuable. It could be jewelry, painting, or a keepsake. This will give you a peace of mind and make your valuables secure. Sometimes, the best thing you can do is move out of the way. If you have hired professional movers then they know what they are doing and how to handle your belongings. If there is anything that you want them to know, so that when you are briefing them. Label fragile items beforehand if you have done the packing. When two parties began to micromanage, chaos reigns. If you are looking for a moving company that won’t cost you an arm and a leg, then contact Cor Movers and relocate without a hitch.